This post comes courtesy of Fueled, a mobile design and development company based in New York and London. You can read more posts like it at the Fueled blog. Brooke Pendleton currently resides in Atlanta, GA where she manages marketing and operations for a tech startup. When considering the business landscape of Atlanta, Georgia, most people think of a handful of corporate behemoths such as Delta, Coca-Cola and CNN, just to name a few. While the city is best known for these Goliaths, the “Capital of the South” is fast becoming home to an active community of technology startups and digitally focused “Davids”. 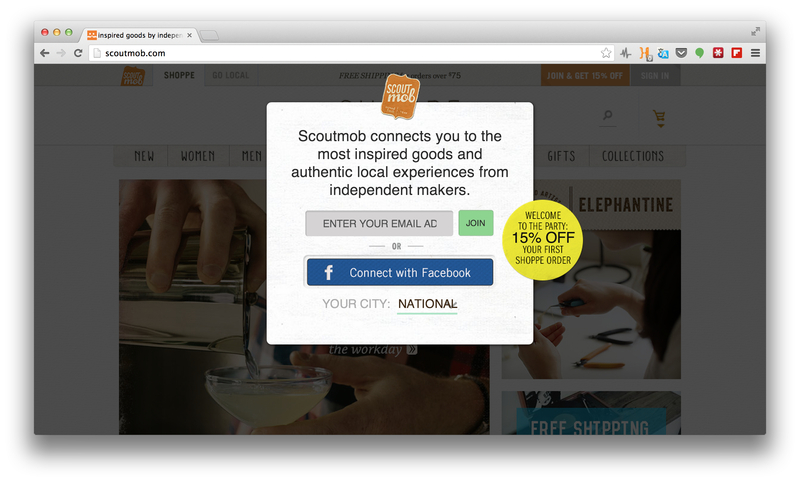 While the world’s appetite for daily deals might be waning, the locals have not discounted Scoutmob. The company provides hand-curated, location-based, mobile-exclusive coupons served daily with local flavor and abundant wit. Currently in 13 cities and backed with $5 million from the likes of Cox Enterprises, AOL Ventures and Thrillist CEO Ben Lerer, Scoutmob shows no signs of slowing down. The Mob has recently put more resources toward its online Shoppe that offers unique gifts and crafts made by local artisans. Is being a material girl in a material world getting you down? 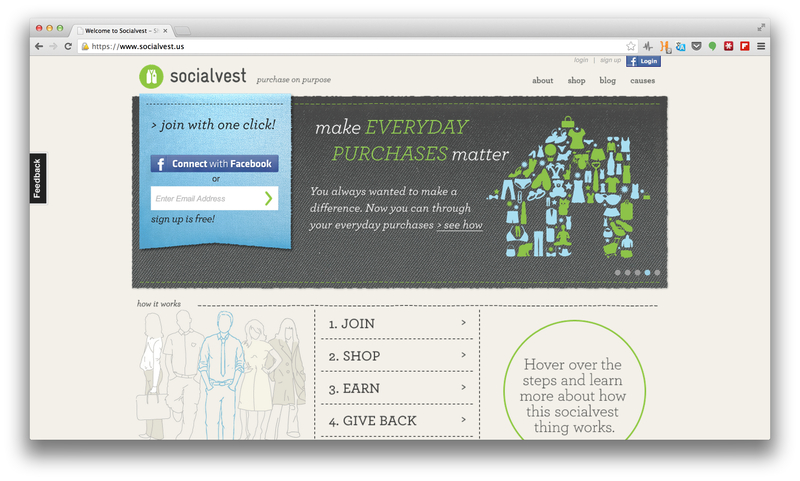 Socialvest, a new “careware” company, helps reduce your shopping guilt by allowing you to donate money to your favorite non-profits with every purchase at more than 800 online stores. Users simply download the browser app, shop as they normally would and watch their donation dollars pile up. With $1.15 million from Bluff Point Ventures, new additions like iPhone and iPad apps and more than 1.5 million causes from which to choose, Socialvest is the Atlanta area’s biggest double bottom line startup. For the those who say the Internet is making us nastier, We&Co begs to differ. In 2011, the company launched a mobile app to provide a way for customers to thank their favorite servers, barbers or salespeople. By facilitating and encouraging people to provide anonymous and constructive feedback, We&Co offers a tool for managers and business owners to evaluate the strengths and weaknesses of their most important asset: people. 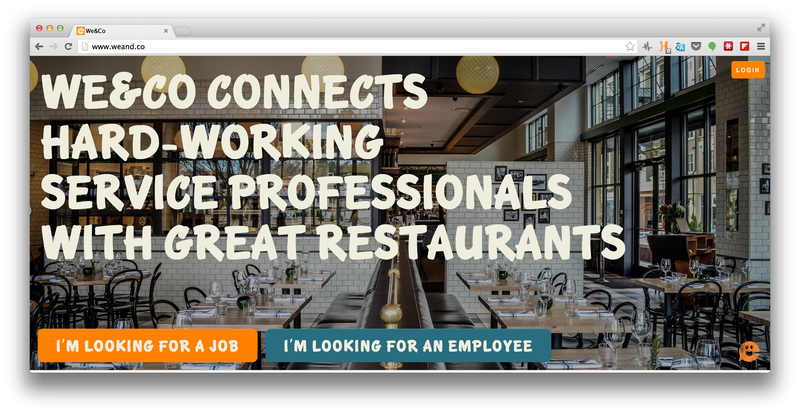 Since its launch, the company has expanded its products to include a range of staffing solutions for the service industry where potential hires can share their past reviews, résumés, and talent rank. There’s no doubt We&Co is looking at expansion beyond its current menu of services to Atlanta’s burgeoning restaurant scene. 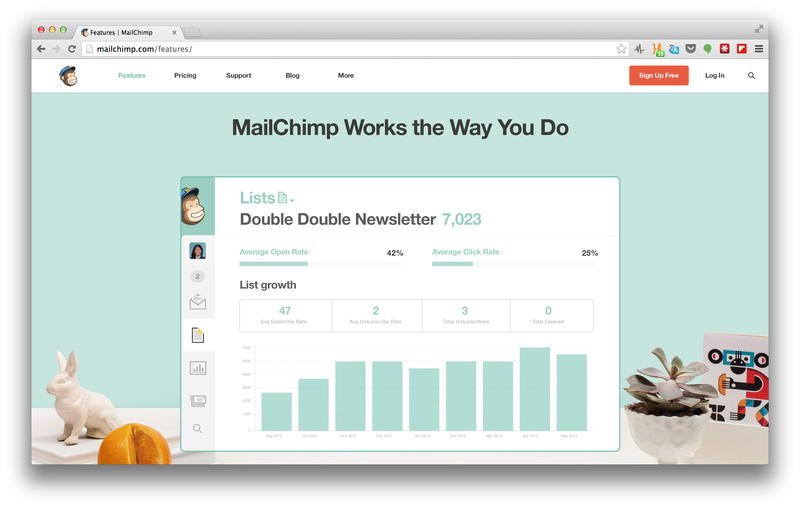 With more than 3 million customers using MailChimp’s services to design, deploy and track their email marketing, the company has one of the biggest user communities among all of Atlanta’s startups. The user-friendly drag-and-drop interface and generous tiered rates make it a hit among large companies and entrepreneurs alike. Its quirky add-ons and unconventional corporate culture (such as its mascot, Freddie, a chimp in a mail carrier’s uniform) set the company apart in a ho-hum industry. And what’s more, MailChimp has cemented its position of hometown hero by supporting development projects and arts organizations in Atlanta since its launch. 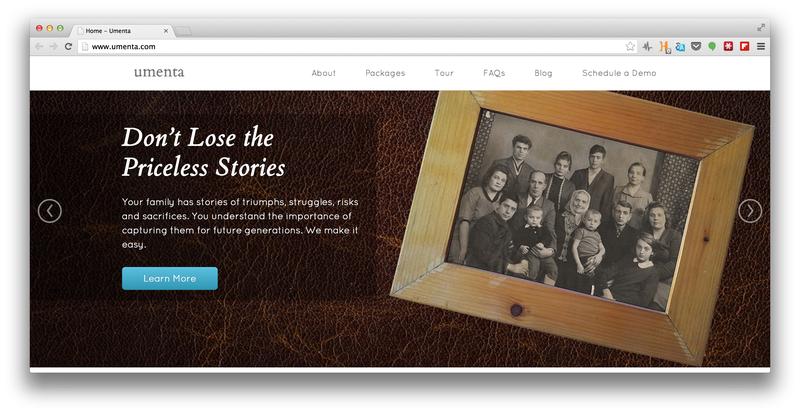 The youngest company on the list, Umenta was founded in 2012 to help people preserve and present their family’s history. An ideal service for anyone who’s been frustrated by Ancestry.com, Umenta provides a dedicated Legacy Concierge who will conduct interviews, scan photos and create a private site that tracks a family’s memorable events and stories. Umenta believes the company’s digital archive is a great way to engage the younger generations in the lessons of the past. While not cheap (services start at $5,500), Umenta has a good shot at success among the many people too busy to act as family historian. After all, nostalgia isn’t what it used to be. If you’ve ever let a foreign language faux pas slip, you know the challenges of cross-cultural communication. For those looking to converse with locals like a pro (or at the very least not embarrass themselves), Atlanta-based TripLingo is a must-have. The free iOS app includes vocabulary flash-cards, access to a live translator, a 2000+ word dictionary, a pronunciation guide and many other tools to help you master any of the 11 languages offered in the basic version. 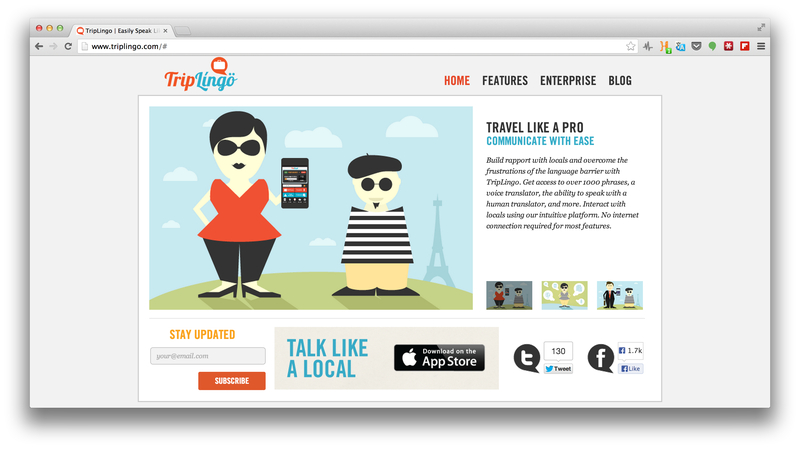 And last year, the TripLingo team introduced a new suite of tools catered to business travelers. Despite having a small team led by CEO and founder Jesse Maddox, the app was deemed “One of the most groundbreaking inventions of 2011” by Business Insider. Though still in the early stages of development, the team at URUUT (pronounced “you root”) has a unique, localized take on crowd funding that sets their team apart. The company’s tri-pronged approach allows organizations access to three primary funding sources — individuals, businesses, and foundations – all in one place. After raising $200,000 in seed funding in 2013, the team, led by former IBMer Mark Feinberg, set its sights on engaging the oft-ignored portion of the social sector- municipal projects and civic groups. The company just announced its first live public project with the Ashford Park School Education Foundation in July so the platform still has a long way to go to prove viability in the crowded market. But with the guidance of an impressive advisory board, URUUT could have what it takes to make it to the national stage. This cloud service brokerage founded in 2007 has established itself with big-time partners like SalesForce, Google and Service Now. 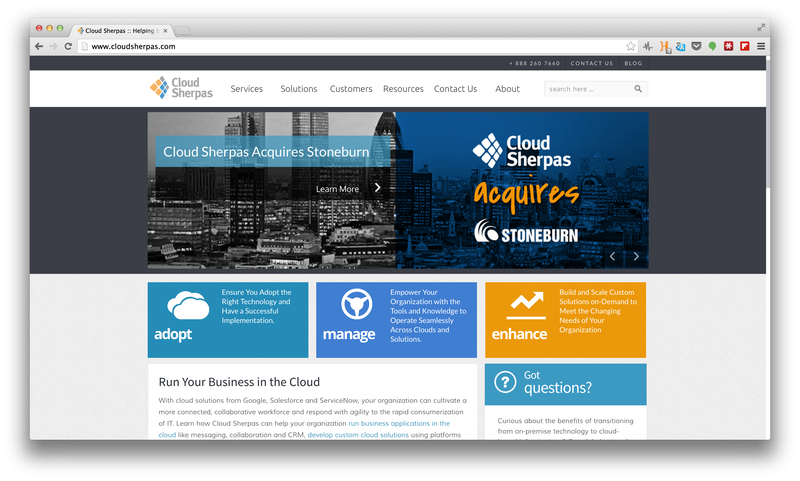 Cloud Sherpas has also set itself apart from the pack by focusing on assisting companies of all sizes with the adoption and management of cloud-based technology. Since its launch, it’s made several strategic acquisitions, established operations in a number of countries, and migrated more than 2 million users to the cloud. It specifically chose Atlanta for its headquarters to draw on the best and brightest developers from Georgia Tech to fill their ranks including SVP Technology David Hoff. Founders Hugh Malkin and Adam Wilson built HUGECITY to answer the pervasive question: what’s going on tonight? Pulling from the thousands of Facebook events created everyday (whether you’ve been invited or not), HUGECITY’s iOS app and website tell you what’s going on nearby and who in your network is attending. The app will recommend events based on your own social profile and allow you to coordinate with your friends without the dreaded mass text. With big dreams of becoming the universal social calendar, the team’s focus has been on member acquisition over monetization. 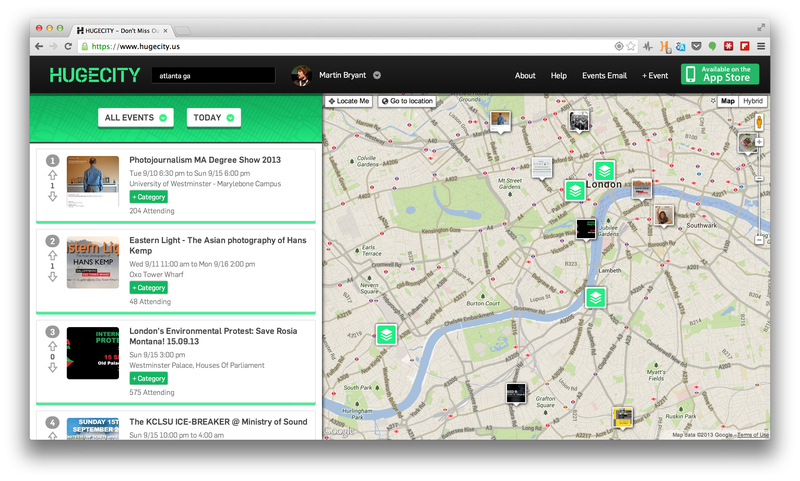 The good news is that there are many potential directions for the company to go in and it benefits from being one of the first event discovery apps out there. Emory grad Adam Weinger founded Double the Donation after realizing that nearly $10 billion in funds available for corporate matching go unclaimed every year. 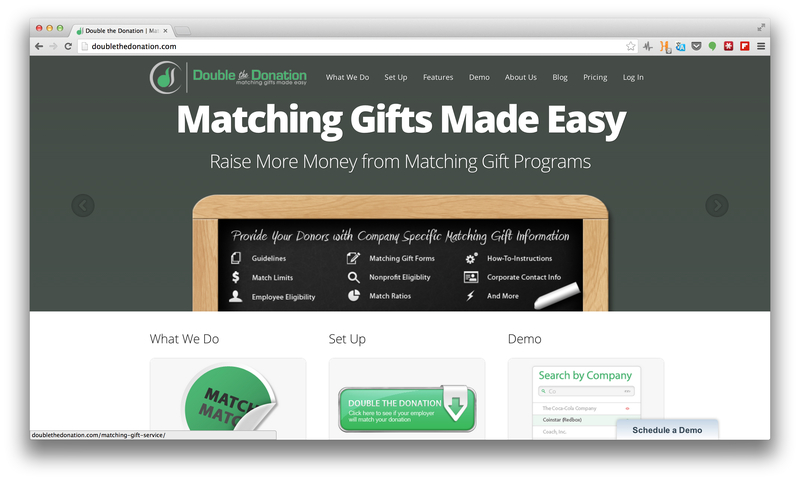 Double the Donation provides customized tools to help donors make the most of their employer’s generosity. 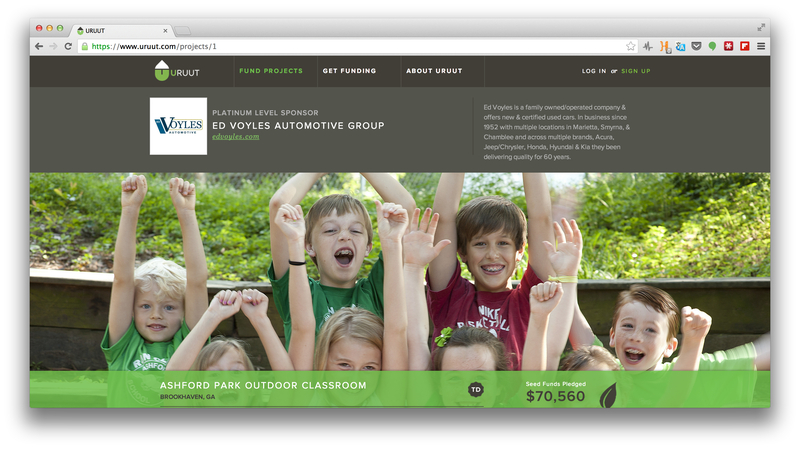 Non-profits even have the ability to embed the solution directly on their site to ensure a seamless experience. While the company is competing with nonprofit software juggernauts like Blackbaud, Double the Donation’s personal approach is exactly what’s ensuring its success. Its one-on-one support and grab and go marketing resources can’t be found in the larger, chunkier systems. And with non-profits seeking to stretch every dollar these days, Double the Donation could be the next big thing. There’s a common saying here in Atlanta that this isn’t a city that changes you, you change it. While it may not have the same degree of investor attention attributed to NYC or Austin, the rapidly growing population and recent urban development bode well for the city’s future. In many ways, Atlanta is the wild west of the startup world, relatively uncharted and ready for development. Note: This post has been amended to remove an erroneous reference to an investment made by Ben Chestnut. We apologize for the error.